SGT. 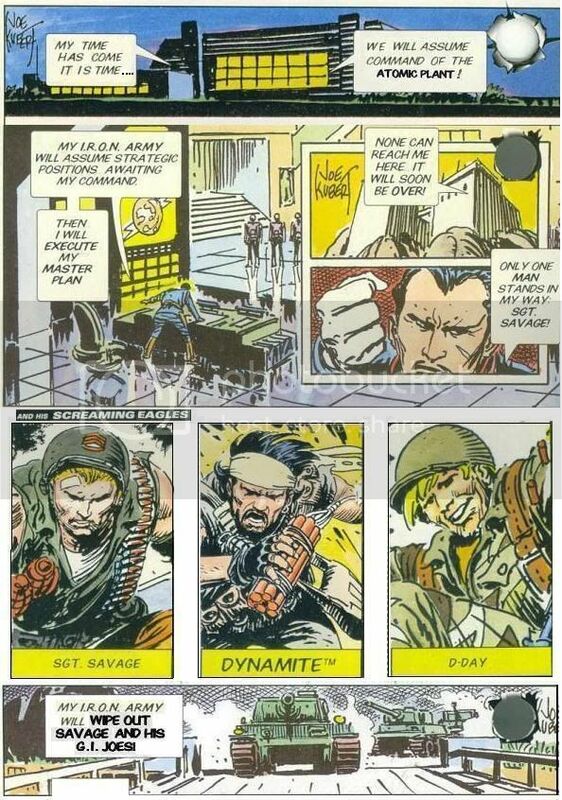 SAVAGE : DECLASSIFIED- BLOOD FOR THE BARON!!! 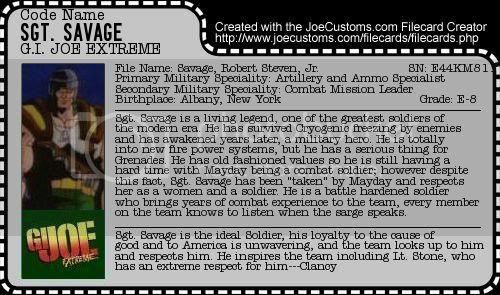 File Name : Robert Steven Savage Jr.
Sgt. 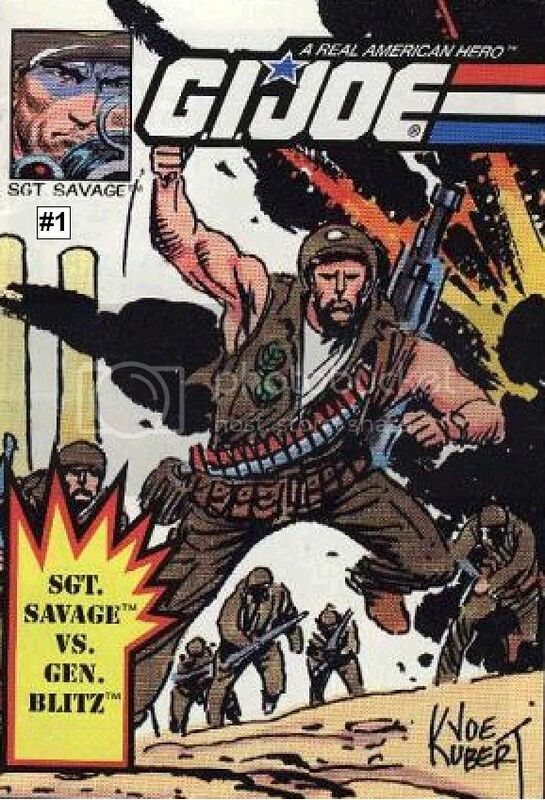 Savages' origin is shown in the Sgt Savage toy line and video so you really need to know all you can about the G.I. 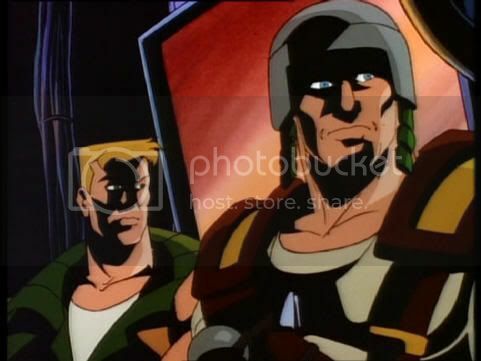 Joe Sgt. 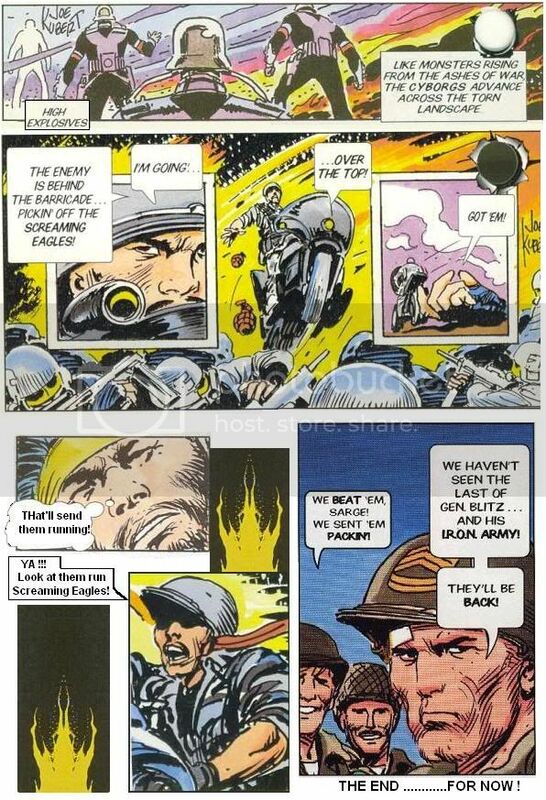 Savage and the Screaming Eagles line before you can delve into Sgt. 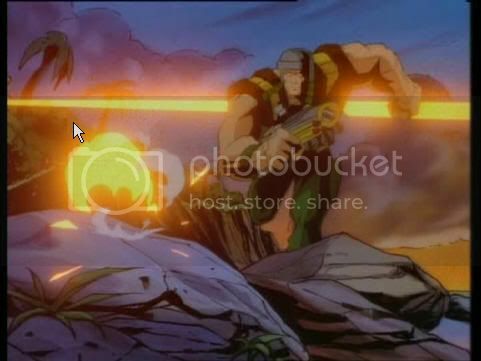 Savage in GI JOE EXTREME. 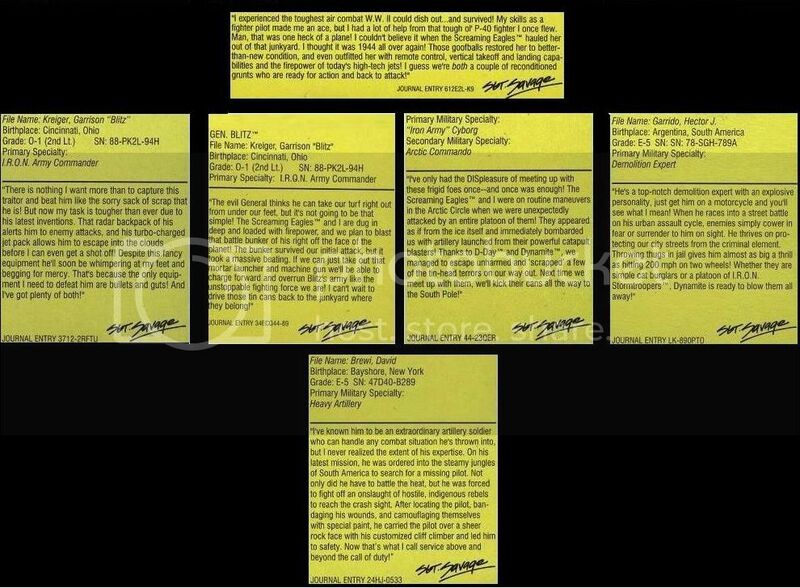 Alot of characterization comes from the Sgt. 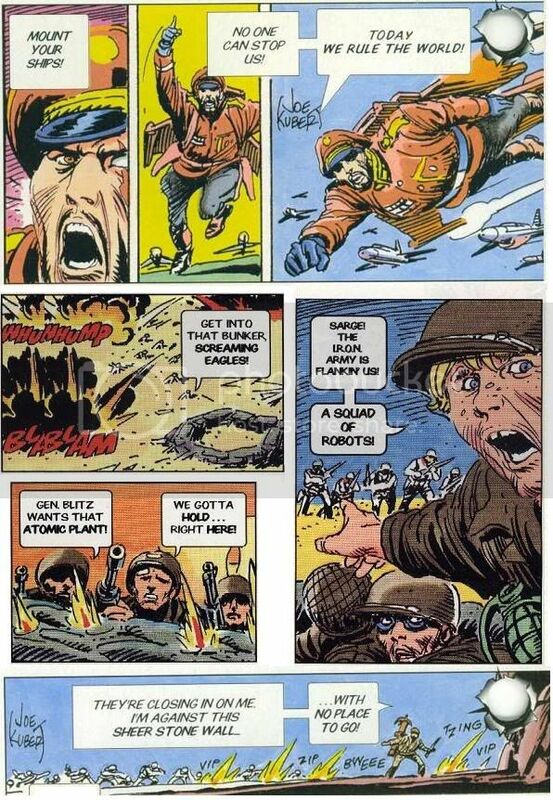 Savage and the Screaming Eagles comic /toy line/ single Cartoon Episode. 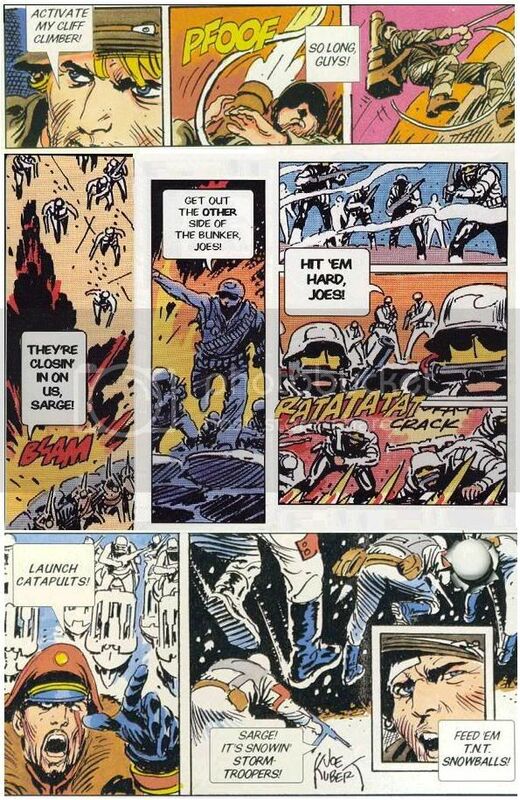 So we must explore this before we can explore Sgt. Savage in the Extreme Line. Special Note : Sgt. 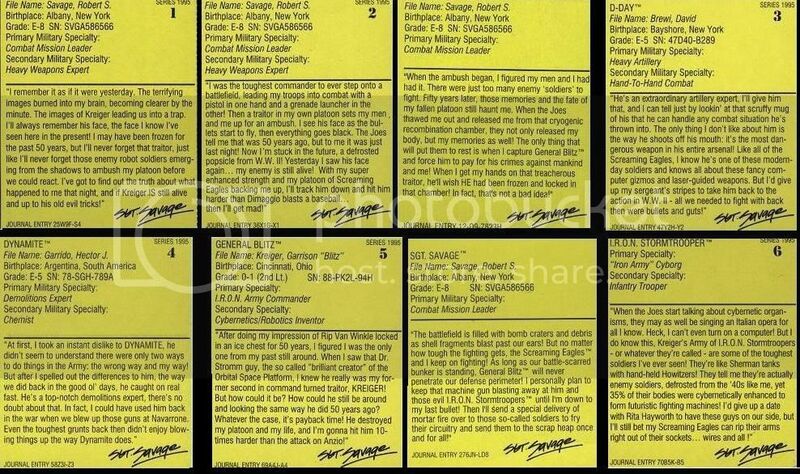 Savage is listed as Lt. Stones Next of Kin. 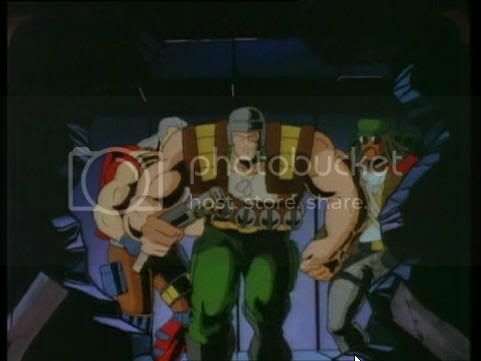 While everyone knows of the Dark Horse Comics some people may not know that some of the Extreme characters also made appearances in the DDP books as well This post will serve for all future sightings in comic books. 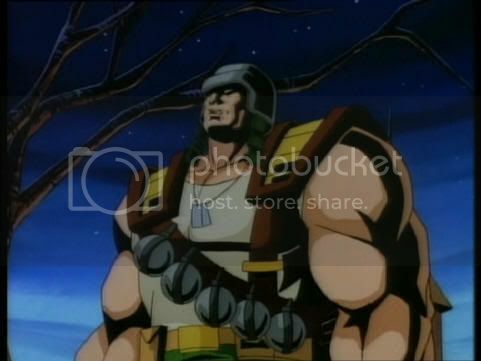 Cool, my favorite Joe of Gi Joe Extreme. I posted a link to the article elsewhere on this distinguished forum. 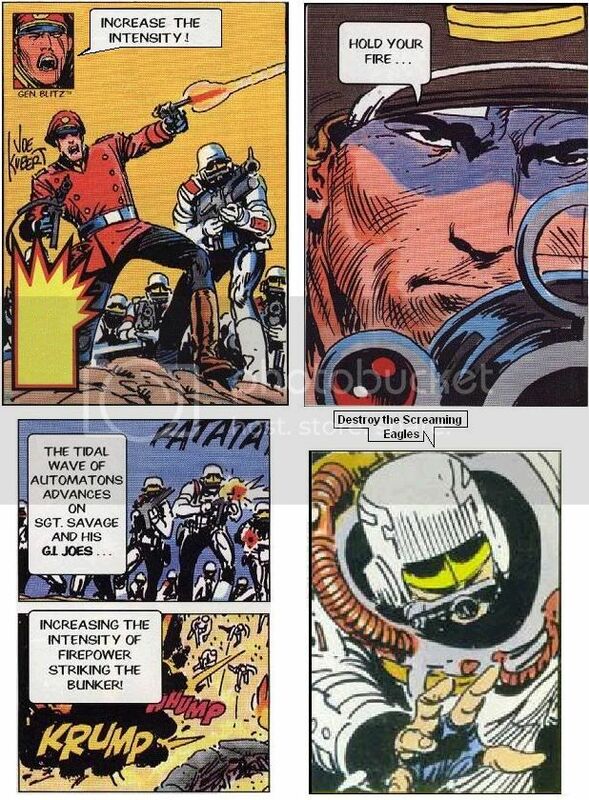 Dealing with the follow up series to the IDW/Hasbro uber-event, REVOLUTION. REVOLUTIONARIES will kick off in December featuring a pooling of resources of the various characters from the Hasbro stable. But the one thing that has me posting this article in the Sgt. Savage thread. 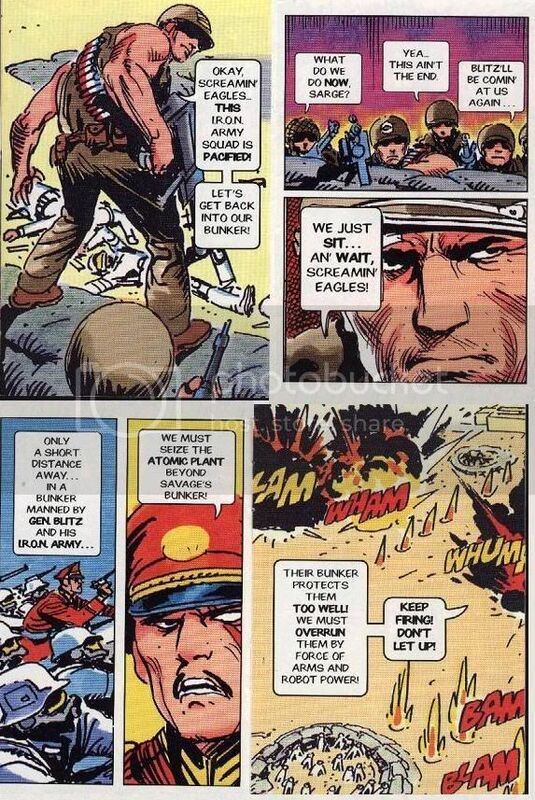 The first issue of REVOLUTIONARIES , according to the mag's scribe John Barber, will reprint the SGT SAVAGE & THE SCREAMING EAGLES comics drawn by Joe Kubert, comic legend. 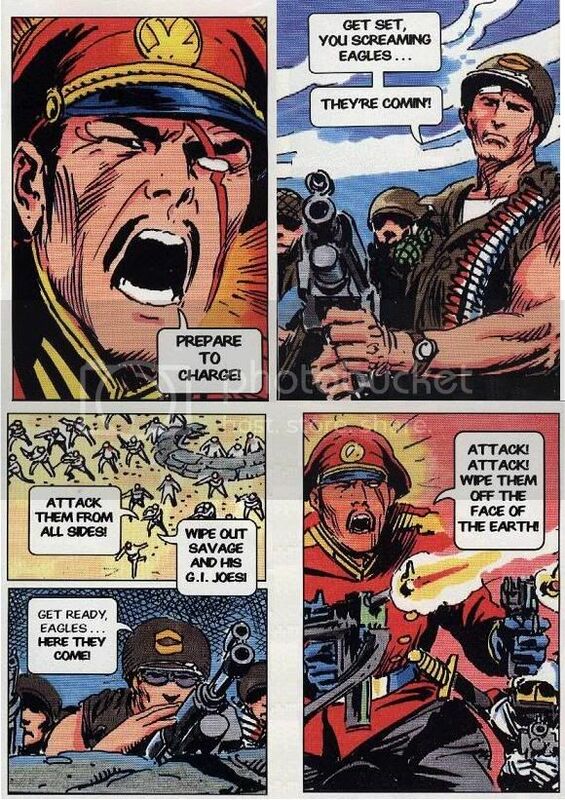 Which I'm guessing leads to the long awaited return of Sgt. 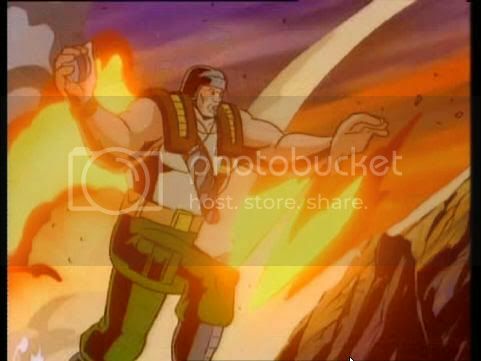 Savage's arch foe, General Blitz. 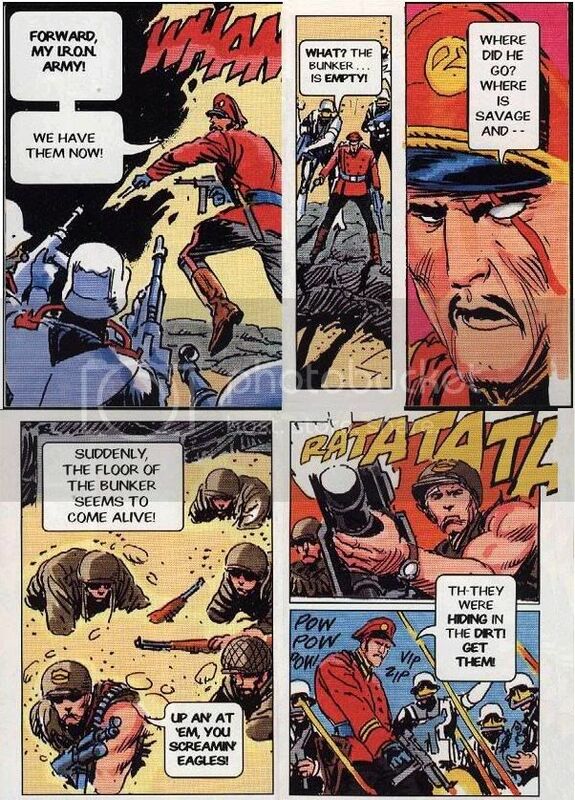 Both of whom got a mention in the second story-arc of Volume 3 of IDW's G.I.JOE in a flashback. 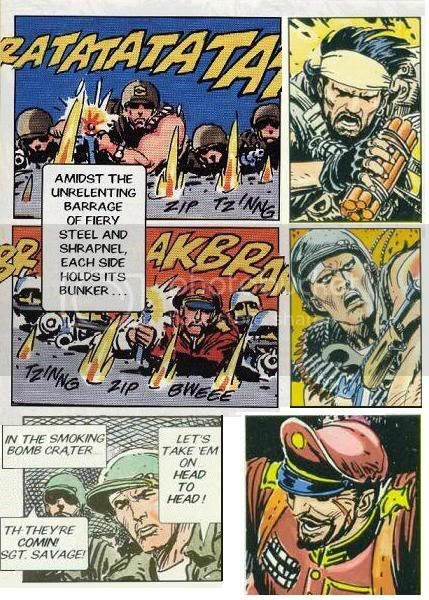 On top of it , we finally get to find out what the letters in the acronym for General Blitz's little organization, the I.R.O.N. Army stand for. 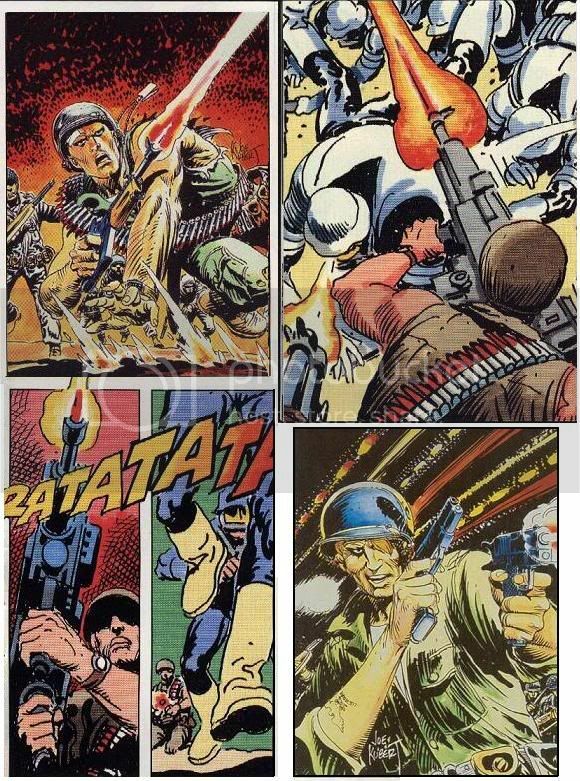 i hate the idea of this IDW revolution thing but I love that we are getting those SGT SAVAGE & THE SCREAMING EAGLES comics drawn by Joe Kubert. WOW, that might actually cause me to buy the issue.